When you’re a college student, having money just to splurge on new kicks or the latest fashion trends may not be a top priority. But, what if you could wear the latest trends without spending too much, maybe even make some money back? Plato’s Closet is a second-hand retailer that buys your gently used clothing and sells it to teens and twenty-somethings. Different than your local Goodwill or Value Village, how it works it that you bring in your clothes to the store. While you shop, one of the employees will review your bag to determine if you have what they are looking for. 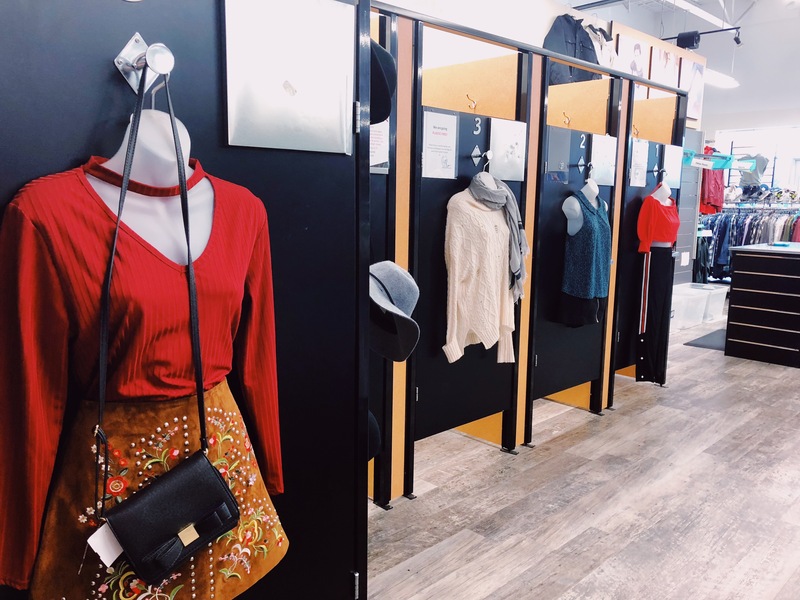 The Plato’s Closet employee will then create an offer for you based on the condition, brand and style of your clothing, cosmetics or footwear. 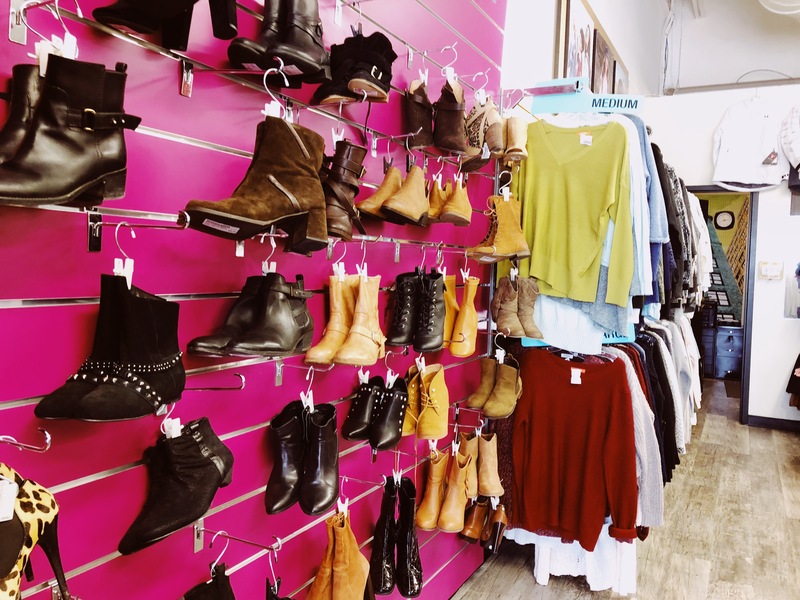 Melody Taylor, one of the buyers at Plato’s Closet in Oakville, says that the store buys for all seasons, both men and women’s attire and they must be ready to wear. “People want to know that if they come in to buy something, they can wear it that night.” The store asks that your clothes be freshly laundered, folded and put in a small reusable bag, not garbage bags. Footwear must be gently used and cosmetics, skincare and perfumes must be unopened and clearly unused. The store makes sure safety seals on products are untampered with and that cosmetic products are from higher end stores like Sephora. Taylor also let us in on how they decide the value of pieces. The store sells items for 50 to 90 per cent of retail value and the customer gets 30 to 40 per cent of that in cash, unless the customer wants to make a trade. In that case, the cash amount goes towards the total cost of items and one of the taxes are saved. Wall display of the new fall boots. Despite the store already offering discounts, Plato’s Closet Oakville is gearing up for their coat sale on Sept. 22 and their fall clearout shortly after that. If you follow their instagram page, @platosclosetoakville, you will be the first to know exclusive sales and early store openings on sale days. 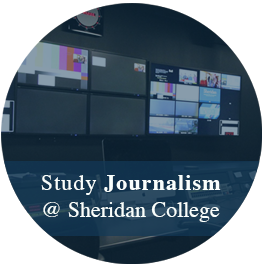 Laura-Lee is a Journalism student at Sheridan College. She also is a lifestyle content creator on her Youtube channel, "Life of Laura-Lee". Laura-Lee is interested in a career in Television and will be graduating April, 2019.